Here’s a lesson on the importance of knowing your fish. 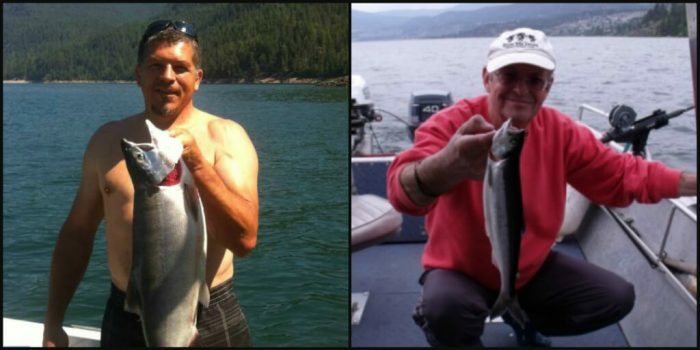 A British Columbia resident, Denis Woodcox, was out fishing with his son and caught what he thought to be a trout while at Lower Arrow Lake. The fish was so big, as it was fighting, it almost pulled him out of the boat. He and his son joked about how big it was, and when he got it home, he froze it. A few months later, he decided to smoke it. It was oily, and he thought that was strange, but he still continued preparing it to be smoked. After giving some of his smoked fish out to friends, they, too, had their doubts that the fish was a trout. Oops. His fish (pictured above on the left) is obviously a monster compared to the average-sized kokanee fish (pictured above on the right). Make sure you know what you’re catching AND eating so you don’t make this same mistake!